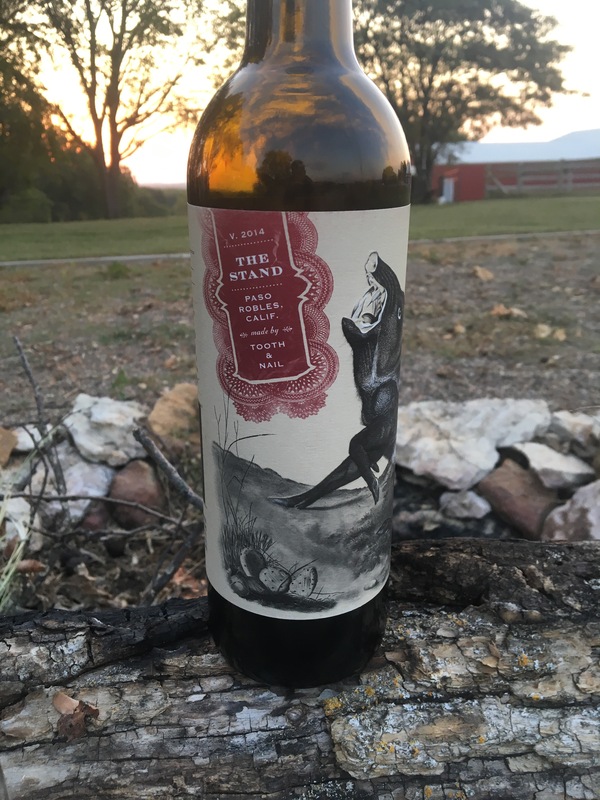 The Stand is a Petite Sirah driven blend from Tooth & Nail winery in Paso Robles. In the glass the wine is dark purple and it just looks thick… When I give it a swirl, it coats my glass with just one go around and the legs seem to hang on for what seems like an eternity. The nose is all juicy plumb, sweet cigar, and rich raspberry. My initial taste coats my tongue with bonfire smoke and dark fruit. Mid palate brings jam into the mix and the finish is somewhat abrupt with subtle peppery spice. All in all, the wine is dark and rich – voluptuous if you will. I’m loving it. What did the Jack-o-lantern say to the pumpkin? ~ Cut it out…. What do you give to a pumpkin who is trying to quit smoking? ~ A pumpkin patch…. The barista from Starbucks just asked me if I wanted a pumpkin Spice Latte. I told her I’m not into men…..